Eastbrooke Medical Centres officially opened its first Women’s and Children’s Clinic on the Gold Coast in March 2016. The new clinic offers a professional team of general practitioners with varied special interests and provides a range of healthcare services for every stage of life in a caring and supportive environment to both women and children. The Clinic is located within the Eastbrooke Family Clinic Burleigh Waters and works closely with local specialists, in addition to the Gold Coast University Hospital and Tweed Hospital. It offers family friendly facilities such as a private breast feeding room, baby change facilities and children’s play area. An additional clinic has recently opened within the Eastbrooke Family Clinic Southport featuring a female doctor, child friendly facilities and ample onsite parking. The Clinics are available within the Eastbrooke Medical Centres at both the Burleigh Waters and Southport locations. GP’s within the medical centre work closely with local specialists, in addition to the Gold Coast University Hospital and Tweed Hospital. The centres are family friendly and offer items such as baby change facilities, children’s play area and are breast feeding friendly. At the Gold Coast Women and Children’s Clinic, some of our women’s health services include annual health checks, breast examinations, contraception (including insertion and removal of Mirena and Implanon), Fertility , Mental Health, Antenatal and Postnatal care, Menopause, Pap tests, Menstrual concerns, Sexual health, vaccinations and weight management. 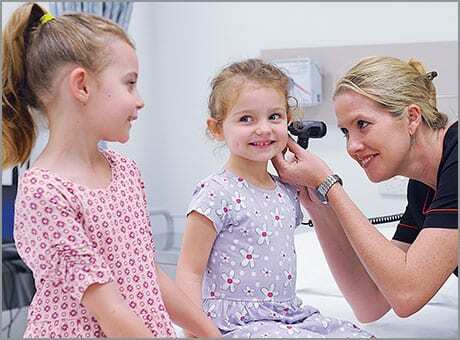 The Clinic also offers a comprehensive range of children’s medical services, including baby well checks, feeding, fussiness or sleeping issues, vaccinations, allergies and eczema concerns, asthma and respiratory issues, recurrent ear infections, general developmental (including growth, weight, hearing, visual, behaviour, speech, weight management, nutritional assessments and skin (including acne). The Clinics work in alignment with on-site Allied Health professionals and offer additional services including occupational therapy, speech therapy, podiatry, physiotherapy, psychology and dietetics. Visiting a female doctor may enable you to feel more comfortable with discussing certain concerns. With an attentive manner to patients and years of experience in the health industry, each of our female doctors is able to provide professional medical services to meet your specific needs. We are available for appointments at a time that suits you, providing a female doctor who will be able to attend to your medical requirements. Please note that our Southport clinic is only open Saturday, whilst the Burleigh clinic is open both Saturday and Sunday. Our Doctors are available for appointments at your convenience and can provide a female doctor where applicable, simply ask one of our friendly reception staff for availabilities. Please note that our Burleigh centre is open 7 days a week (Monday to Sunday) and our Southport clinic is open Monday to Saturday.